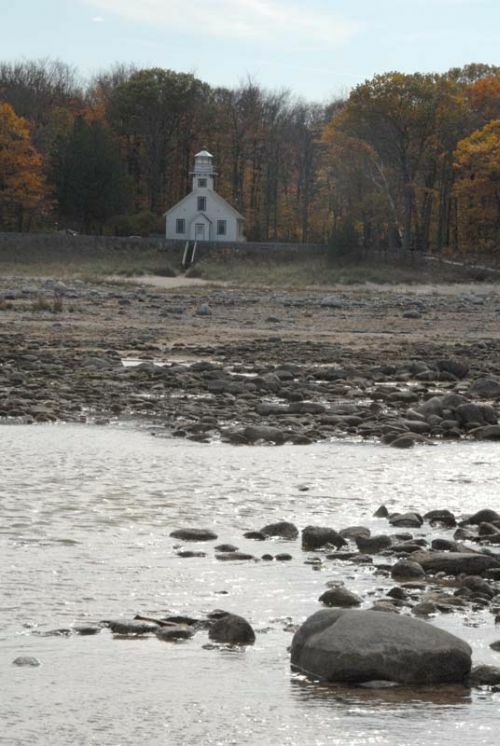 Low water levels at Old Mission Pt. Lighthouse at Grand Traverse Bay, Lake Michigan. November 2, 2007. GLERL, M. Quigley.